Every once in a while, one comes across a writer with talent so tangible that there's no question they could ever have been anything other than a storyteller. Kirsty Logan is one such writer. She proves herself masterful at creating nuanced characters in only a few pages with a writing style all her own. 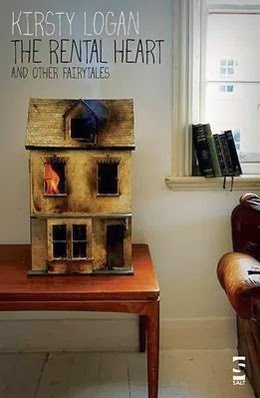 The Rental Heart and Other Fairytales is a varied and exciting collection of short stories which bring together the mythical and magical in a fresh contemporary way. Whether it's the woman who rents a heart in order to prevent hers from being broken again, the young girl who makes her home in the witch's house, or the swift short and devastating retelling of Sleeping Beauty, Logan's prose is rich and complete. Populated with an automaton, a paper man, a witch, and an empress, there are figures readers might recognise from the fairytales of their childhood, but Logan's versions pulse with sensuality as she explores modern sexuality, love, and relationships. It is not difficult to see why she has been compared favourably to Angela Carter and I look forward to more from this astonishing young writer.